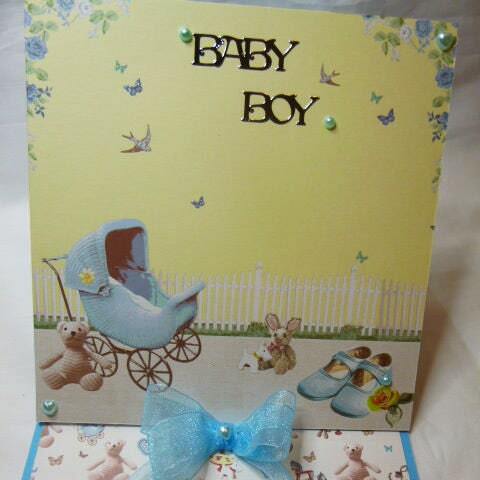 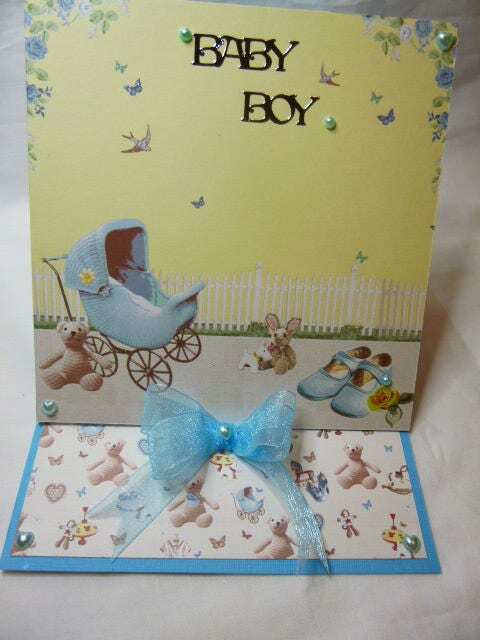 New born greeting card, an easel shape card, yellow background with blue flowers in each top corners, blue pram, and blue shoes, small pearl applied to shoe buckle, small heart shaped blue pearls in the corners of the card, Sentiment of 'Baby Boy'. 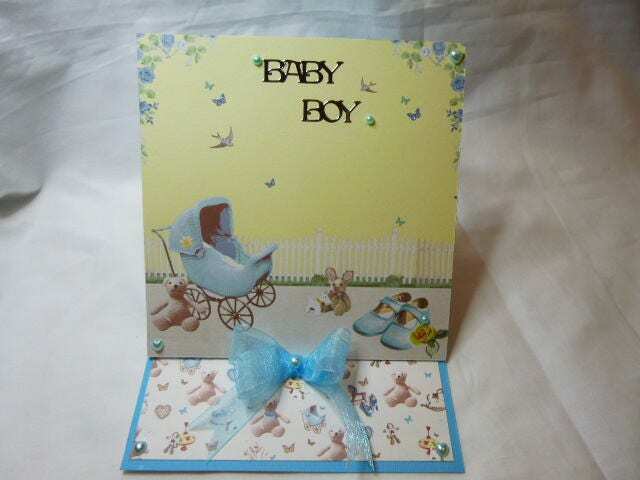 on the front of the card. 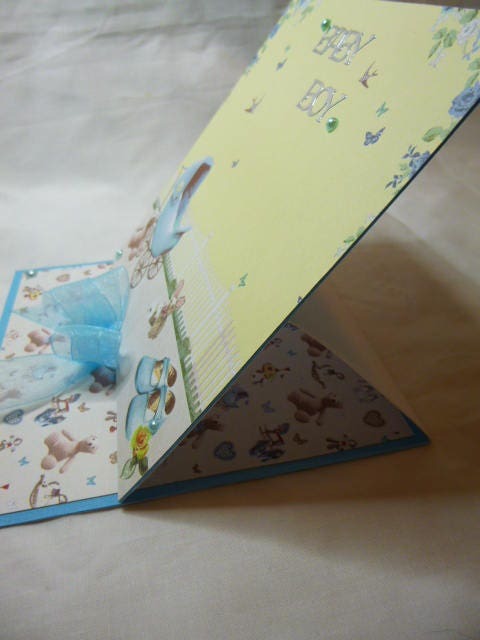 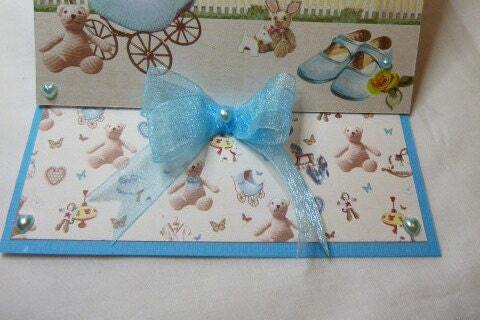 The base of the card has patterned paper with teddy bears on it with a large blue organza bow with a small blue pearl in the centre of the bow.